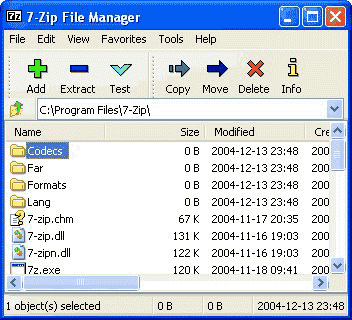 7-Zip Portable is an easy to use Open Source portable compression utility that allows a user to open and create 7z, ZIP, GZIP, BZIP2, TAR compressed files. In addition, users can unpack or open files that use RAR, CAB, ISO, ARJ, LZH, CHM, Z, CPIO, RPM, DEB and NSIS compression formats. Typical ZIP and GZIP compression ratios are from 2 to 10% better than PKZip and WinZip. 7-Zip supports 63 different languages so it can be used internationally as well.